Blog Guidebook has been amazingly helpful to me for today's post. I found them when I was looking at How to Live in 320 Square Feet. Blog Guide led me to Picnik and I have finally learned how to make a collage for my Header. This is going to expand the way I take photos. 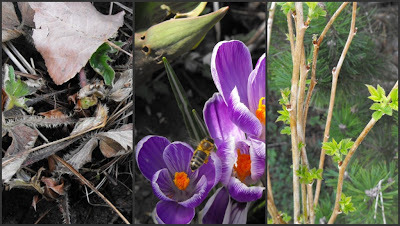 Three quick photos from my front yard - a peek of strawberry leaves, a bee collecting nectar from crocus and new leaves on the raspberry canes. I am absolutely thrilled! I am sure I will overuse collage but what a great way to present sequences and collections. I know I will be looking differently at the blogs I love, to see if and how they use this tool. I haven't figured out the collage thing yet and I've been trying for months. Even my computer savvy son didn't know how to help me. I'm a bit nervous anyway when trying new things. Thanks for your visit and have a lovely weekend. What thrilled me about piknic was that it worked very simply. First I saved each picture I wanted to use into a folder on my desktop. Then I followed the on-screen directions at piknic.com and uploaded 4 pictures (max is 5 pictures for the free version of piknic. I will admit that this is the first time (today) that I was able to get things to work. I had tried Picasa and that just wouldn't work for me. Your flowers that tea pot & the pink footed teacup!..Beautiful! Well, I've managed to spell picnik incorrectly several times now. I've been making collages all evening, now I have to plan the photos and put them in a folder on my desktop so I have them ready when I have time to create/play with picnik. Picnik links up with Picasa so I had to remember how I signed on to that too (did remember after a few false guesses). Now the collages are stored in a Picasa folder. Amazing stuff. Hi Colleen; I took some pictures of your china dogs, crystal lamps, roses china... at VAM and will put them on the web page on my next update. Thanks for commenting. I LOVE collages! Your's is full of springtime hope, and that's what we are all starving for right now! Teresa your flowers at Meadowbrook Farm are so welcoming. I can see that you use collages very well - I am going to practice (with pleasure) as I craft the shape I want for my blog. Of course I seem to re-craft frequently. Part of the fun. Gee, Joy, that's a very attractive header, even dynamic! Well done. Thanks Gai. I am in love with the concept and the possibilities. 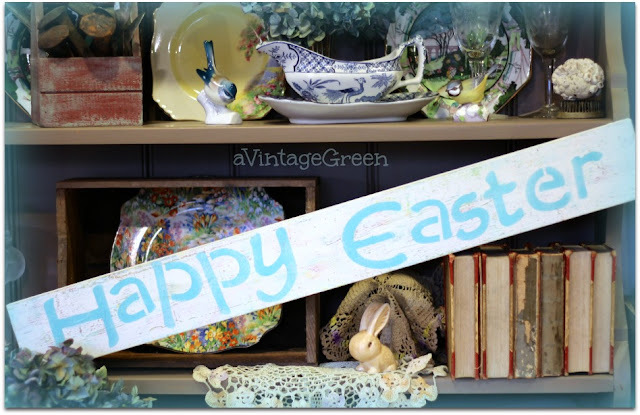 I've looked at so many great blogs who use collages. I love your collage. It's very pretty. I'm hooked on Picasa.